Having a Meeting or a Coffee Break?? There's nothing like Down Home Chocolate Chunk Down Home Cookies!!!! These Cookies are moist and delicious and loaded with CHUNKS of the finest Chocolate Chunk! 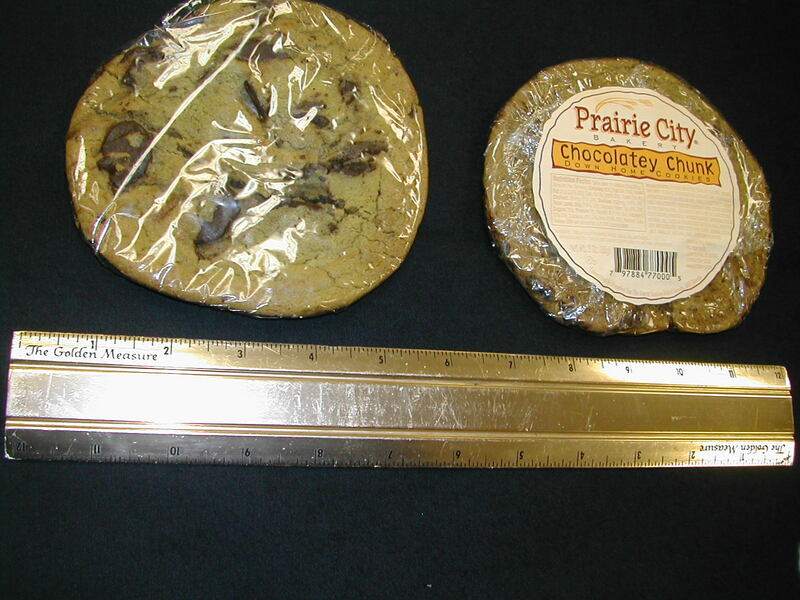 Fully baked, LARGE 3 ounce cookie! No preformed bag cookie here, each Down Home Cookie has its own shape, just like homemade! Each cookie is hand wrapped in a thick "cello wrap" with an ingredient label sticker affixed. These cookies are frozen and come in a case of 6 12 Count Cookies per case for only $51 or 71 cents per cookie, a fraction of what you'd expect to pay for gourmet cookies. Just thaw and serve!!! Great tasting Chocolatey Chunks bursts from the top of this moist and delicious Down Home Cookie. Everyone’s number 1 flavor and sure to be yours too!